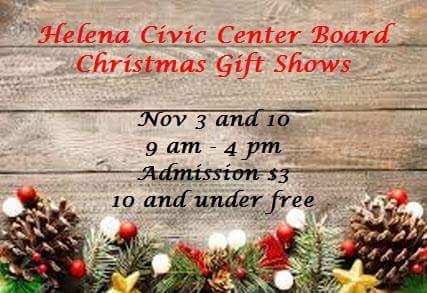 Second week of the Annual Christmas Gift Shows sponsored by the Helena Civic Center Board. New vendors with unique artwork, crafts and other gift ideas to help with your holiday shopping. Shoppers 10 and under are free.